We took a short break there as I went on retreat for a week. It was a wonderful retreat given by the ‘Foyer of Charity’ and if ever you get a chance to do one of their 5 day silent retreats-take it! Then when I came home it was straight into work as we had the funeral of Nobel Prize winner Seamus Heaney here in the next parish and I had to cover it for the paper. Heaney was one of the great Irish minds of the 20th century and yet when God called him he had to go. Death is the great leveller of all men. There is a lesson here that death comes to all of us. In today’s gospel there is one of those little details that are so easy to overlook. 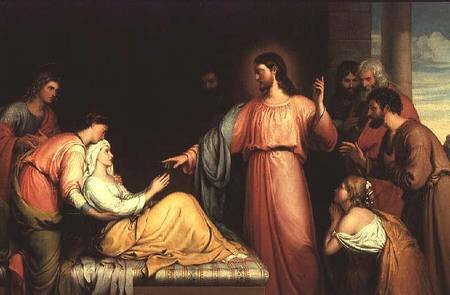 It comes in the passage about the healing of Simon’s mother in law; Luke says that Jesus ‘rebukes’ the fever. This is Luke’s way of saying that Jesus has authority and power over nature; Luke could have said that ‘Jesus healed her’ but he chose the word rebuke. It’s a small detail but it moves Jesus out of the human sphere and into the supernatural. Luke also uses the same term when he refers to Jesus ‘rebuking the wind’ in the wind in the calming of the storm. Because the evangelist is pointing out that Jesus is more than human, that he has authority over all of creation, the spirits, the material world and life and death itself. Luke is leaving us in no doubt as to who Jesus is!